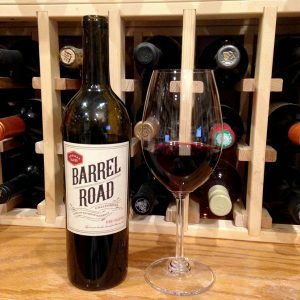 Deep ruby color; red fruit, caramel, vanilla, spice on the nose; dark cherry, plum, red fruit, toasty oak, spice, vanilla, chocolate, smoke on the palate. Dry; the bourbon barrel aging (three months) delivers significant oak and spice, plus caramel and chocolate. Firm tannins balanced by acidity (3.69 pH). This is not traditional winemaking, although it certainly is a recent trend to serve this niche market. Semisweet from the ripe grapes—the maker only says the grapes are sourced from Central Coast, so this likely is a kitchen sink combo—and some sugar probably was added, too. Likely the lead grape is zinfandel, but the bourbon barrel influence alters whatever grapes were used. Red wine is a valid name for sure, but you will not mistake this for a traditional Central Coast California red blend. AWDirect relocated to California in 2004. It manages 29 brands from around the world. Visit their website to get a sense of its global reach.